Little Sophie has entered the digital age…. For this card, I combined a stamped Eat Cake Graphics image with papers, tags and a ribbon slide printed from my new Paisley Partridge digital kit. Its no secret that I adore Eat Cake Graphics images. I just love the whimsy…. Good news! Holly has some new images out. A cute “Waiting in Line for Santa” series and some winsome penguins. You can see the new stuff here. 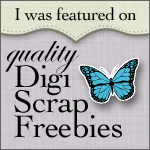 One last word – there is a special coupon for Face Book fans to save on all digital kits and digital stamps in my Digichick store. You can check it out on the Facebook Fan page. This entry was posted in Rubber Stamp Projects and tagged Eat Cake Graphics on November 27, 2011 by Cathy.